Root actually has several different meanings in technology. When applied to hard disks or other file storage media, the root refers to the topmost folder in which files are placed. 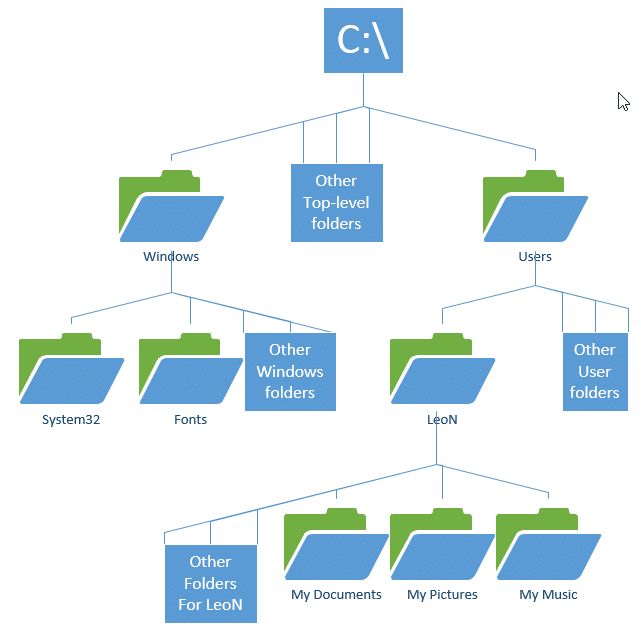 In this image, “C:\” represents the “root” of the C: drive; the topmost folder into which files and folders can be placed. It is unique in that it is, itself, not contained within another folder. When applied to operating systems, root is the name of the administrator or super-user account in Linux and Unix systems. It is conceptually equivalent to the Windows “Administrator” account. To root a device is to gain access to the root account, or its equivalent, so as to be able to perform actions such as installing or uninstalling software that would otherwise be prevented by the system’s default configuration.